Pre heat the oven to 180C/gas 4 and line a muffin tin with paper cases, makes approximately 18 – 20. Cream the butter and sugar together until pale and smooth. Add the eggs, one at a time, mixing for a few minutes after each addition. Combine the two flours in a seperate bowl. Put the milk in a jug and add the vanilla extract to it. Add one-third of the flours to the creamed mixture and beat well. Add the food colouring, you need it to be a decent colour as some colours, depending on what you use, tend not to look so vibrant once baked. Pour in one-third of the milk and beat again. Add more colour if needed. Repeat these steps until all the flours and milk have been added. Spoon the mixture into the paper cases, filling them to about two-thirds full. Bake for 25 minutes or until slightly raised. Check if they are cooked through with a skewer. Remove from the oven and leave in the tin for 10 minutes before transferring to a cooling rack. Beat the butter, milk, vanilla extract and half of the icing sugar until smooth. Gradually add the remainder of the icing sugar and beat until the buttercream is smooth and creamy. Add the Marshmallow Fluff along with the blue food colouring and beat again for a few minutes. Spread over each of the cupcakes. Add the Marshmallow Fluff and beat again for a few minutes. Transfer to a small piping bag fitted with a medium size plain nozzle and pipe on the hats. Using some of the white buttercream and a small plain nozzle pipe on the eyes, and place small sugar balls in the centre of each. 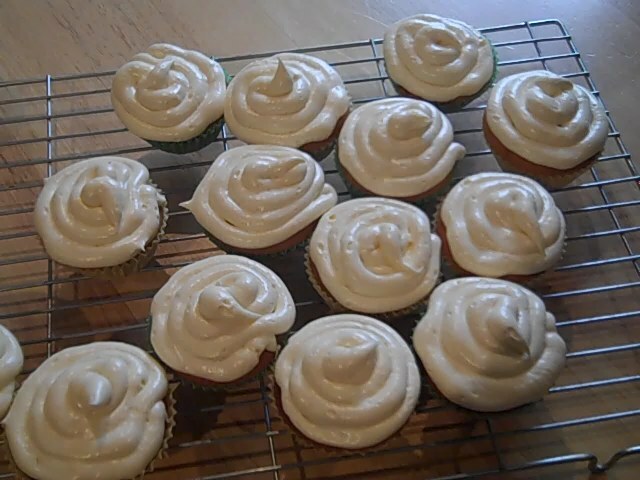 Tip: I add the Marshmallow Fluff as it help the buttercream hold up a little stiffer, so the hats will keep their shape. These are so sweet you certainly won’t need more than one at a time. 12 of your favourite cupcakes, they can be vanilla or chocolate. You can even buy 12 if you feel inclined. Using a small sharp knife cut a small hole in the middle of each cupcake and scoop out a small amount of the cake, keeping what you cut off to one side. Put 2 Tbsp of Marshmallow Fluff in a piping bag and pipe the Fluff into each of the holes that you have cut in the cupcakes. Going back to the pieces of cake that you cut out of the middle of the cupcakes, replace those ontop of the Fluff. 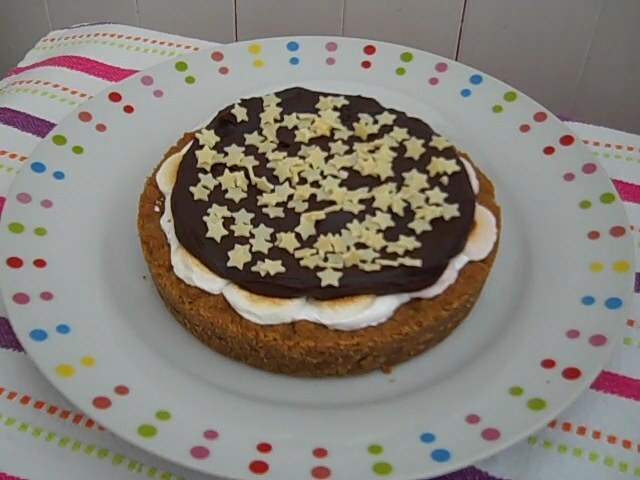 Beat well together 1 cup of butter, 1 1/2 cups of Icing Sugar and 1 7oz jar of Marshmallow Fluff. 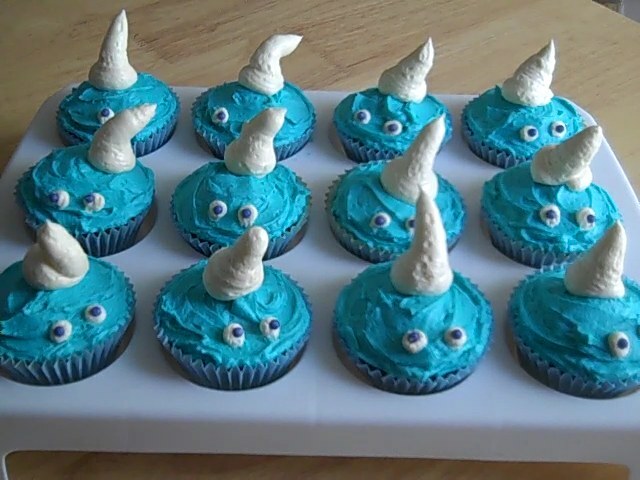 Put into a piping bag and pipe onto your cupcakes.